Continuing from Insurance Disputes: 6 Signs of Insurance Bad Faith (Pt. 1), here are some more common ways that insurance companies may be acting in bad faith when they are trying to avoid paying you for a legitimate claim. When you suspect that you have been the subject of insurance bad faith practices, it’s time to contact the Castle Rock insurance dispute attorneys at Bahr and Kreidle for help getting the compensation to which you are entitled. 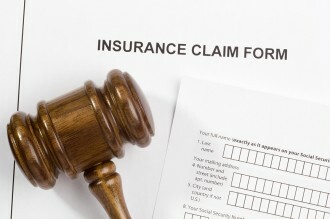 Have You Heard the Following from Your Insurer? When insurers try to allege that your injuries aren’t as severe as they are, contact the Castle Rock insurance dispute attorneys at Bahr and Kreidle. 3. “You weren’t that badly injured,” says your insurer. One thing insurers may try to do when you have filed a claim against your policy is to dispute the type or severity of the injuries you have. The reason that insurers may do this is that they may be trying to undercut the value of your claim by only paying for very limited medical care. In these cases, it’s important that you don’t let insurers dictate what they think your injuries may be or what limited care you may need. Instead, get help from a skilled attorney who will be able to assist you in proving the nature of your injuries so that you are able to obtain the full amount of the payout you deserve for your claim. 4. “You had those injuries before the accident or incident,” says the insurer. Just like insurers may try to minimize the nature of your injuries, they may also try to allege that you had some of the injuries associated with your claim prior to the accident or incident associated with your claim. For instance, if your claim includes neck or back injuries associated with a car accident, insurers acting in bad faith to try to limit your payout may try to allege that you had those neck or back injuries before your car accident. Again, in such cases, you will have the best chances standing up to insurers and obtaining a favorable outcome to the dispute by working with an experienced lawyer. For additional info about insurance bad faith, be sure to check out the upcoming conclusion to this blog. Since 1983, the Castle Rock insurance dispute attorneys at Bahr and Kreidle have been fighting on behalf of injured people and aggressively standing up against injustice, inequality and intolerance. At every stage of a case, our attorneys are dedicated to providing our clients with exceptional personal service and the highest quality legal representation. This means that our clients can always count on us to be available to answer their questions, to fiercely defend their rights and to be tenacious about getting them the justice and compensation they deserve. If you are fighting with an insurer over a payout on your valid claim, our Castle Rock insurance disputelawyers urge you to get more information about your potential case and rights by meeting with us for a free, no obligations initial consultation. To set up a meeting, call us at (303) 794-7422 or email us using the form on this page.